American Solera was named best new brewery in 2016 by Ratebeer. So naturally I had to visit to try for myself. The hype is well placed. Thanks to recent changes in Oklahoma laws they can now have a tap room and serve beer. The beers are on the expensive side on tap but so good I didn’t care. This probably has something to do with local taxes. Thankfully to-go prices are very reasonable. 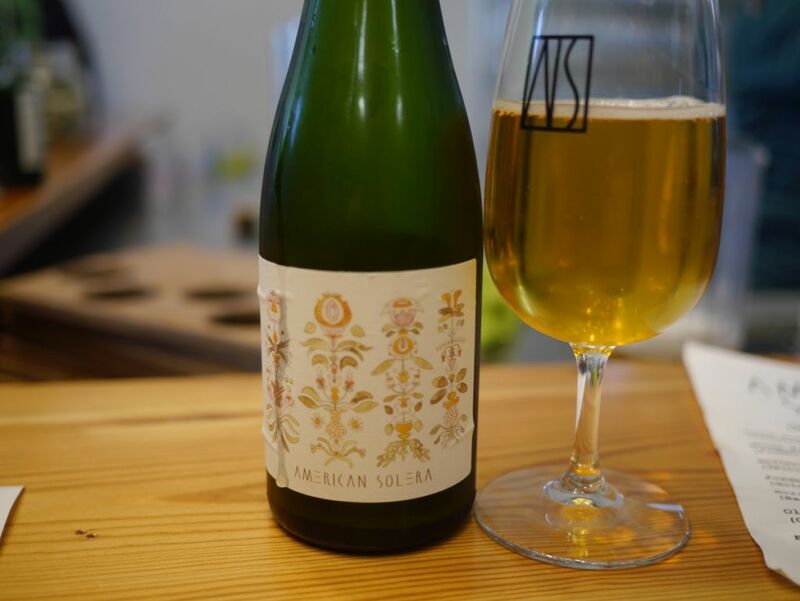 American Solera is in an area of town by itself but people have no problems finding it. I visited twice in a row because the main other Tulsa attraction is Prairie Brewpub. Thursday was of course much less crowded than Friday, with lines out the door at times on Friday. The Terp Surp IPA was one of the best IPAs I’ve had in a while. Tons of hop flavor coming through with tropical fruits and melon without much bitterness. The beer is soft and juicy. I rarely bring home IPAs to San Diego but this one was worth it. The IPA is up there with Cellarmaker and Fieldwork quality. The Mocha Dilema was thick and packed with chocolate, fudge, and coffee notes. Despite the high alcohol it had very little alcohol taste. When I came back later I ordered two bottles to drink on site. The foeder golden was an excellent example of the style. Their spontaneous fermented lambic-inspired ale was true to the Belgian style and excellent with tons of funk. 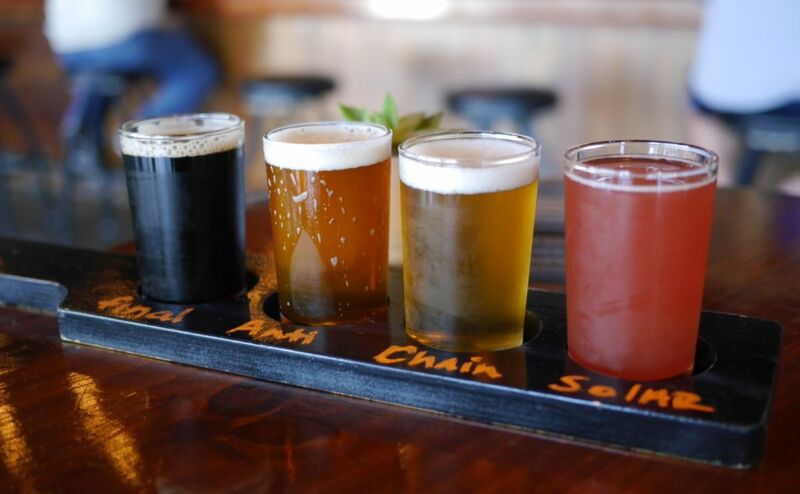 Thankfully American Solera beers have been coming to San Diego on occasion but it is worth visiting them at the source to hang out with a crowd of beer enthusiasts. The tap room is laid back at times and then gets really busy on Friday nights as most places do. 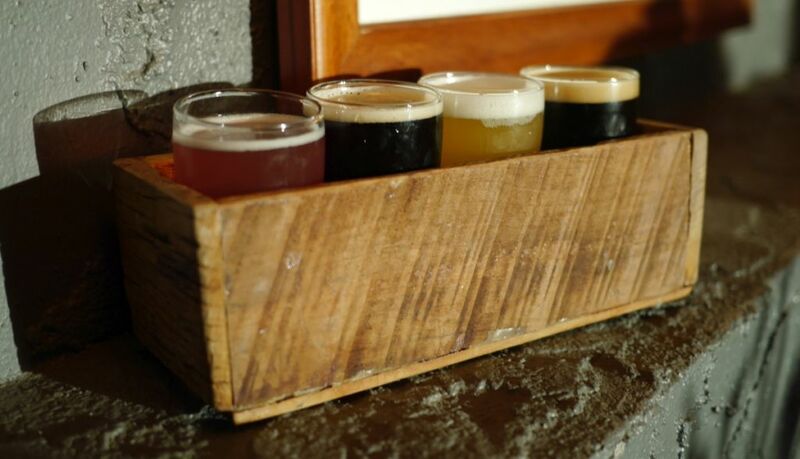 With excellent beers across the board there is something for everyone. 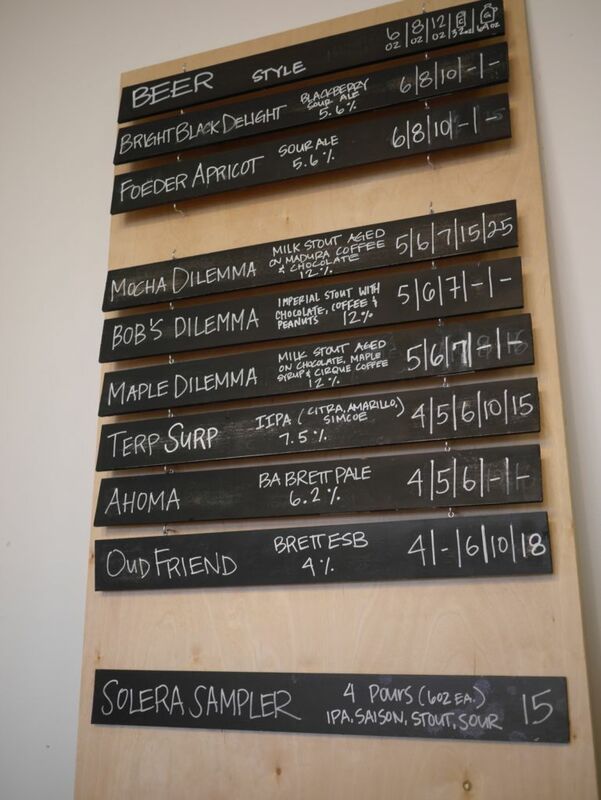 The quality is high enough to warrant a visit to taste these beers on site and bring home a suitcase full of bottles and crowlers. I had been to Half Door brewing a few times but never got around to writing a full post about them. 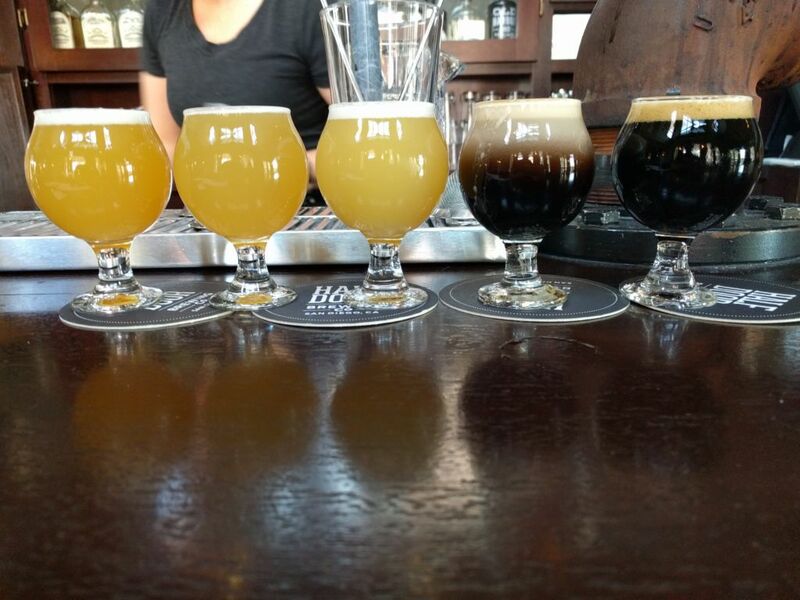 Recently they expanded into brewing hazy IPAs and I featured them in my list of San Diego breweries making hazy IPAs. 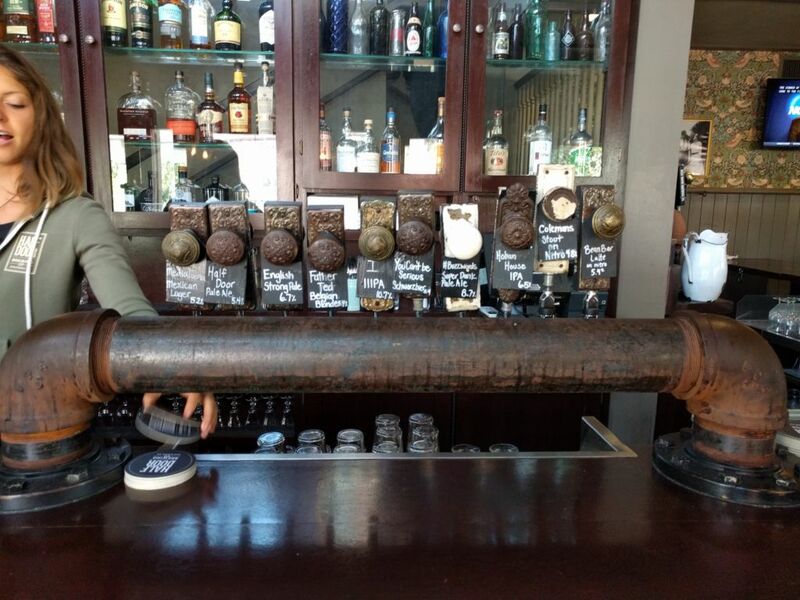 Half Door serves beer in a restaurant in Downtown San Diego where they also offer a modern take on pub grub. I visited them recently on a Sunday morning and tried a flight of tasters. All of the IPAs I tried were of the hazy style known to some as the North East style of IPA. I started with the Hoban House. It was fruity and soft with a light acidity and low bitterness, exhibiting notes of pineapple. The Hype Machine single-hop Nelson IPA was soft with subtle grapefruit and a mild bitterness that lingers on teh back of the tongue. It is a great example of what a Nelson IPA should taste like. The Buzzwords double IPA is an intensely fruity double IPA, soft and hazy with very mild hop acidity. This stood out from the rest on the list as the best of the IPAs for the day. I tried the IIIPA, which was an insane hop bomb with little alcohol flavor or sweetness, and mild bitterness. The only reason I didn’t like it as much as the Buzzwords IIPA is that I got some herbal notes in the IIIPA that I didn’t care for. Otherwise, it is an exceptional example of what a IIIPA should taste like. I also tried two stouts. The Coleman’s Stout is their dry Irish stout on nitro. It is dry and roasty with a smooth body and a mild floral hop kick. This is one of the beers I tried the first time I visited and it is still just as good as it was then. The Coleman’s on Craic imperial stout with coffee was smooth and roasty with notes of chocolate and coffee excellently balanced. I slightly preferred the dry version though they are both delicious. Before leaving I got a taster of the tripel just to see how well they handle Belgian styles. It was one of the more impressive San Diego tripels, lacking in the ester notes that tend to overpower American-brewed Belgian-style beers. It had a bready malt character with some earthy malt notes and a well-attenuated finish (not too sweet). If the hazy IPAs weren’t so good I might go back for this one. Half Door brewing is one of the few San Diego breweries, maybe the only one, that doesn’t sell bottles or growlers to go. This is due to their license and hopefully will change soon. Though I didn’t eat anything when we visited, my friends who joined me were very impressed by the food they had. Parking can be crazy around Half Door during the weekdays but it is worth visiting if you are already downtown or can park nearby and Uber in. 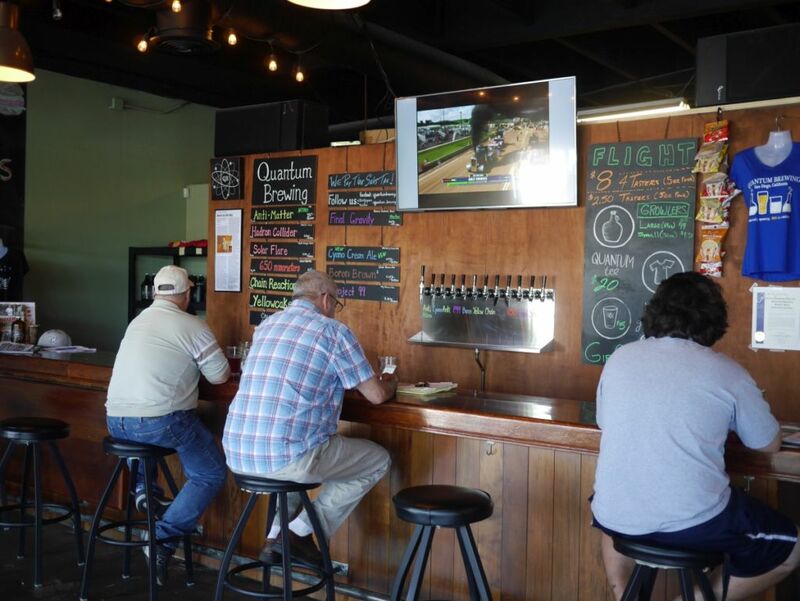 When I first visited Quantum brewing soon after they opened, they had a decent lineup of beers with nothing better than average and a few that missed the mark. For a time they had some growing pains and the word online was that they got worse. Thankfully I never experienced that part of things. Now they have a new brewer and had a grand re-opening to let everyone know things are new. 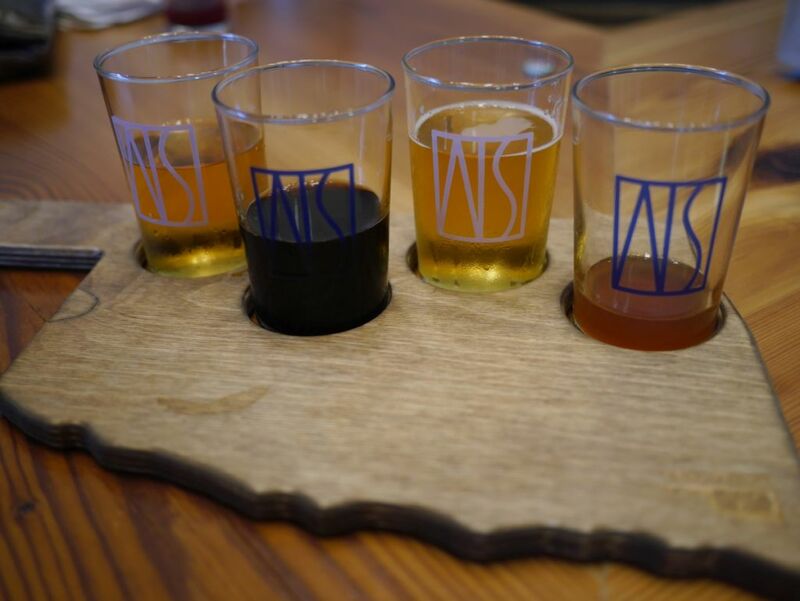 I stopped by and had four tasters and the beers are a little better than they were at the beginning, more in line with the local standards, though still not at the level of Council or Societe down the street. The blood orange wit had tons of orange flavor with a gorgeous red-orange color. It had the flavors right but there was a flavor in the finish that should not have been there. The session IPA was light and clean with mild citrus and grassy hops without too much bitterness. This was a huge improvement over the extremely bitter session IPAs they had with the previous brewer. For a new brewer coming out with a session IPA like this is quite impressive. It is about what you would expect around San Diego. The IPA was a bit malt-forward and while it had some apricot notes from the hops it had a heavy bready malt character. Considering it is not West Coast in style at all, it is a nicely balanced English style IPA and is well-crafted. Since most hop heads crave something either juicy or classic West Coast style this is a huge miss. I would even say that labeling this an IPA in San Diego without calling it English or Red is borderline deceptive though I know it wouldn’t sell as well if they did. The Imperial Stout was a good mix of caramel and roast with a sticky sweet finish. While it had a good balance with bitterness, I thought it was a bit too bitter for the style. Still, this was one of the better of the bunch. 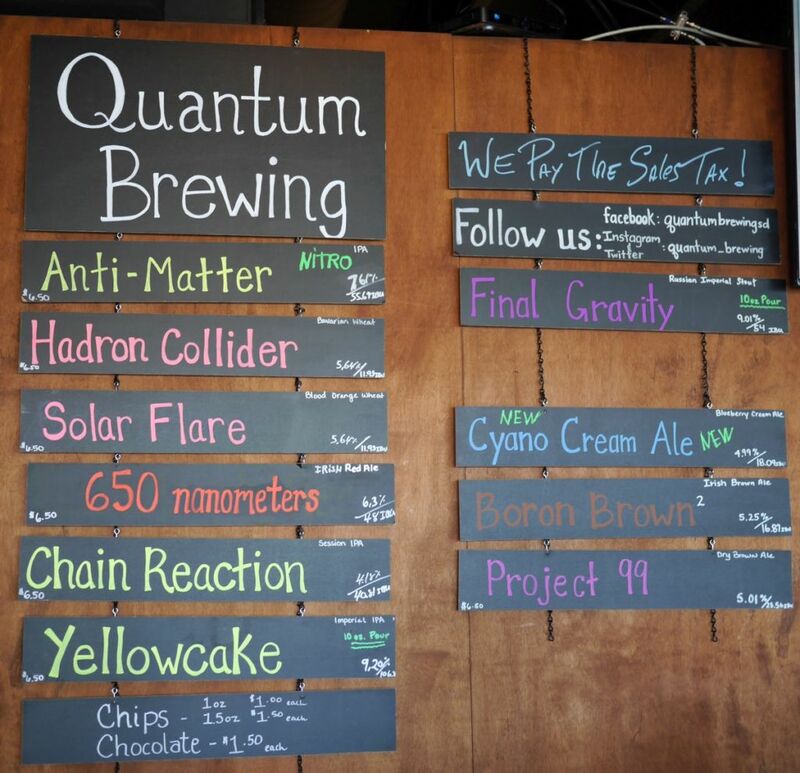 Quantum retained all of the quirky names for the beers and added a bunch of fruited beers. Still, I tend to judge a brewery based on their ability to brew a beer without adding any fruit, thus my focus on their hoppy beers. The people in there drinking were enjoying the fruited options. Their session IPA is well-made but in San Diego you need to do something a bit more to stand out and the blood orange beer suggested they still need some work on their fruity beers. Wren House is a new brewery in the area and the quality of the beers were about what I expect from a new brewery. However, I came in with higher expectations. This is because the brewery has been hyped like crazy online. 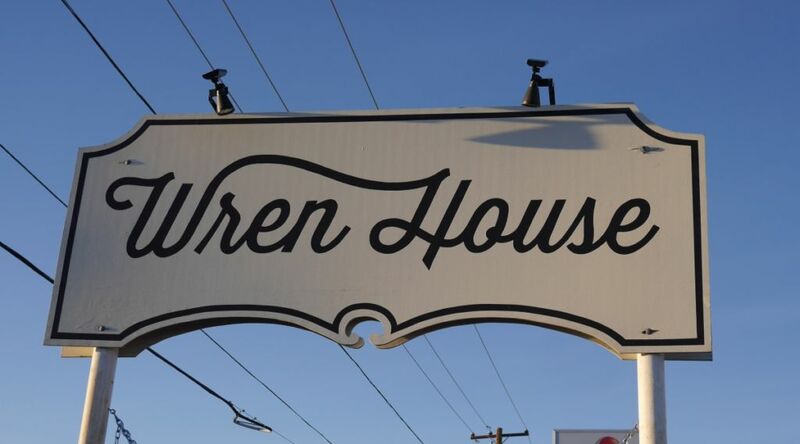 While the beers didn’t live up to the hype, Wren House is still a solid place to visit. They have a tiny location and they get loud quickly both from people talking and loud music. This, combined with beers that didn’t blow me away meant I didn’t stay very long during my visit. I tried four beers, their grapefruit berliner weisse, porter, unfiltered IPA, and imperial porter. The grapefruit berliner weisse was dry and bitter, primarily bitter grapefruit. with lots of carbination. I didn’t care much for this but then I am not as big on fruited berliner weisse as others. This was quite popular with others in the room. The porter was bitter and smoky with a dry finish and prominent hop character. It was almost more of a black session IPA than a porter. If they had labeled this as hoppy on the board I would have tried other styles. The bitterness is far too much for what I like in a porter. The IPA was a good combination of fruit and pine while not too bitter over a soft mouthfeel. There was a lingering mouthfeel that I didn’t like but that I can’t identify. It did signal to me that something was off ith the beer though. 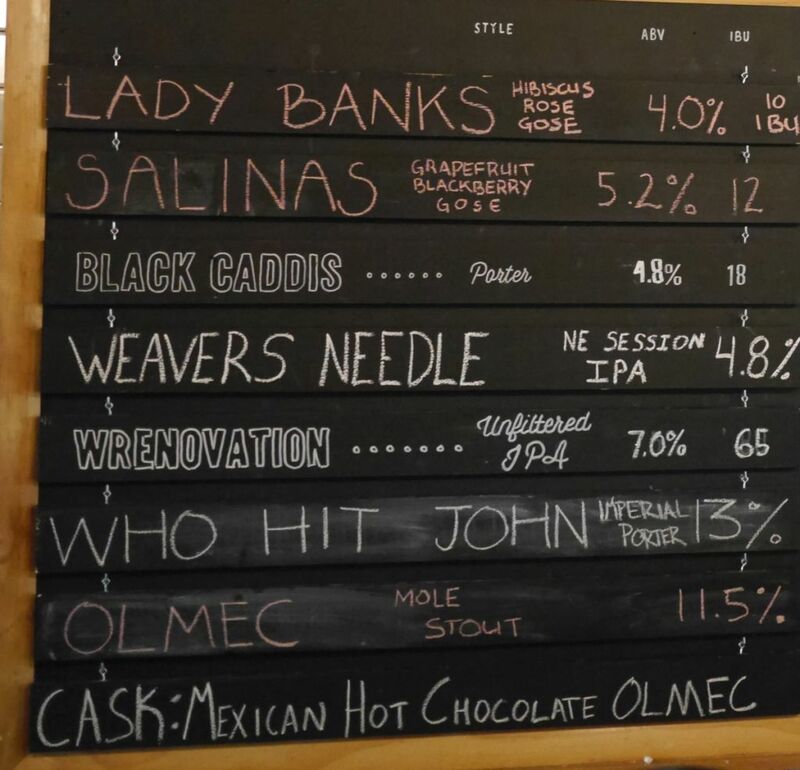 The imperial porter was the best of the bunch with notes of marshmallow, cherry, and burnt toffee. It was not too sweet or too boozy. I would have liked to have been able to try their base berliner weisse so I could judge it that way but the fruit varieties didn’t grab my interest. 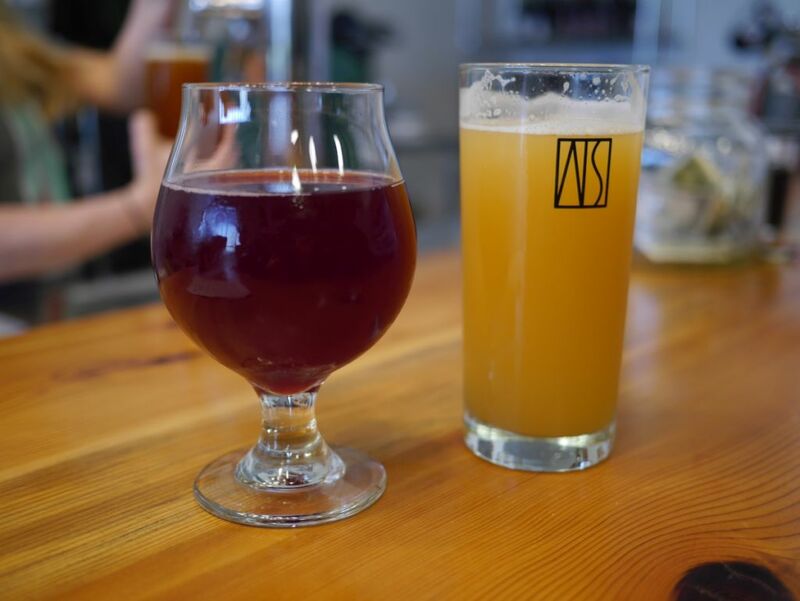 Wren House is a solid new brewery worth checking out if you are in the area but don’t expect it to live up to the hype spreading about it online. I’m unlikely to return more for the tiny loud space than anything. It is not the atmosphere where I want to sit and sip a pint.